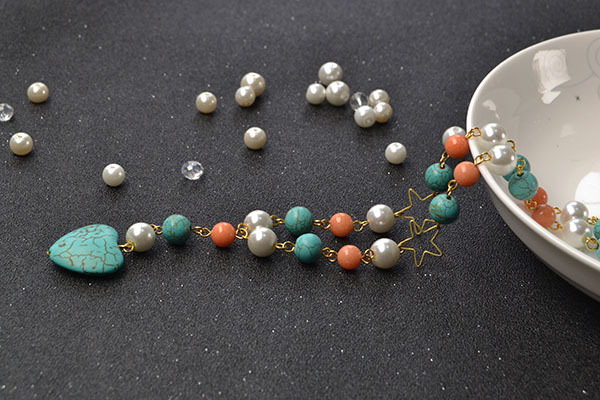 Summary: Wanna turquoise and pearl beads bracelet? 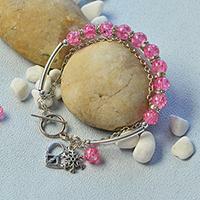 If yes, you can pay more attention on today’s Pandahall tutorial about how to make heart charm bracelet with mixed beads. Do you have your own turquoise beads bracelets? If not, why don’t you make one for yourself? 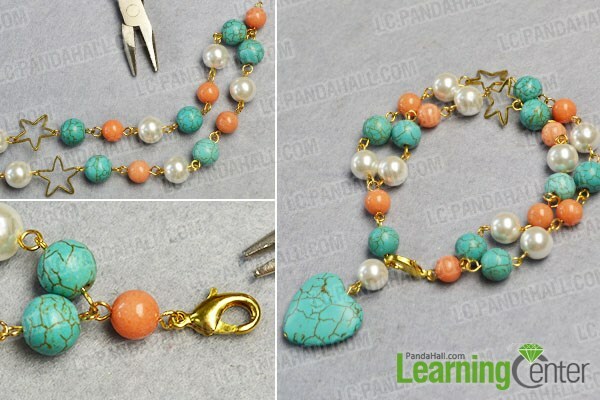 You will see a Pandahall tutorial on how to make heart charm bracelet with mixed beads, includes pearl beads, jade beads and turquoise beads. Now, follow me to check how to make it. 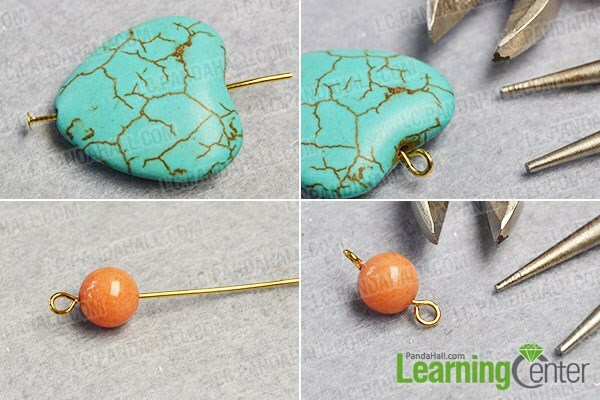 2nd, slide an 8mm orange jade bead onto an eyepin, then make a simple dangle. 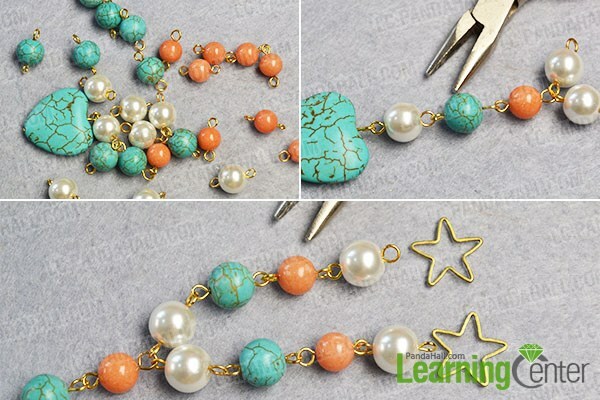 3rd, attach a jade bead with the two pearl dangles together and add more dangles, then add two golden star link onto the linking part. 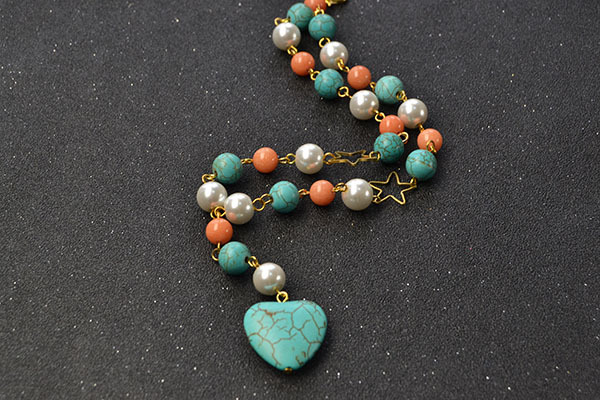 3rd, add a pearl dangle and heart turquoise bead dangle onto the jump ring to finish this heart charm bracelet making. See, actually, it can be a heart pendant necklace, right? 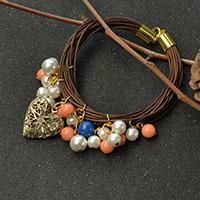 So you will own a charm bracelet and pendant necklace after you making one piece of jewelry like it? Do you want to have a try? 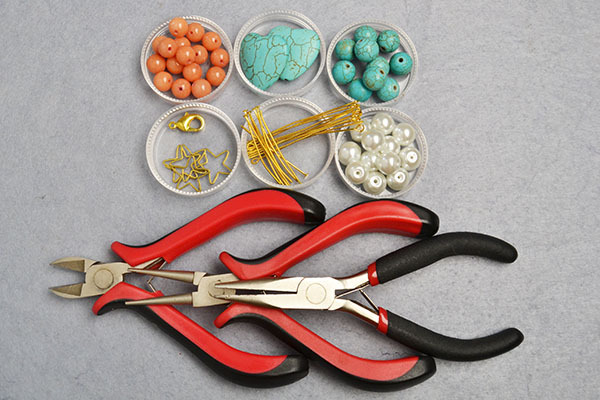 Gather the materials and design your jewelry soon.